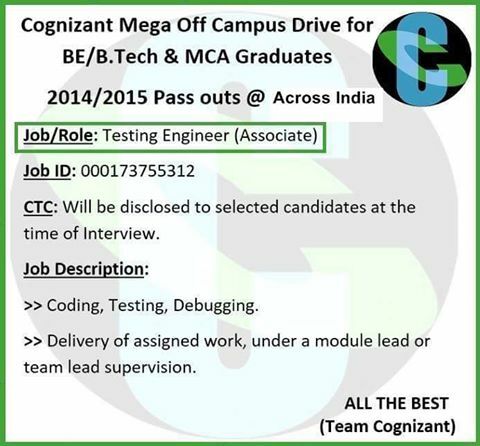 Cognizant is hiring for freshers and experienced candidates. Want to apply for this job? here all details provided for you. Check all details below to apply. Min 60% in UG (for Universities in Other States except Andhra Pradesh, Telangana, Karnataka, Kerala, Pondicherry & Tamil Nadu.